Introducing the Balenciaga Bazar Shopper Bag. The Bazar Shopper was first seen during the Fall/Winter 2016 runway show. It is made of lambskin..
Louis Vuitton releases another limited edition handbag this season. Presenting the Monogram Vernis Alma Flower Bag. The iconic Alma features individually cut leather.. 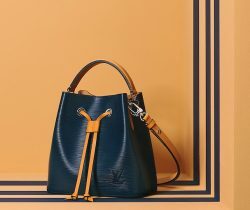 Introducing the Louis Vuitton Victoire Bag. This newest bag from Louis Vuitton is made of the classic Monogram Canvas and coloured calfskin. It..
Presenting the Balenciaga Giant 12 Gunmetal City Bags for Fall 2016. Balenciaga has finally returned the Giant 12 Gunmetal hardware this Fall, which..
Dior’s Fall/Winter 2016 Collection presents Diorever Tote Bags in new styles. This season, the Diorever comes in Pony-Effect with Calfskin corners and Smooth.. Introducing the Prada Corsaire Bag. The Corsaire, which means pirate in English, is a messenger bag that features rings and tassel accents. These.. Introducing the Givenchy Egyptian Print Collection For Fall/Winter 2016. Givenchy’s latest collection was greatly inspired by Ancient Egypt, with references to Eyes of.. This Fall, velvet bag is definitely a must have accessory. Whether it’s for a casual day, dinner date or special occasion, a velvet..